Pet obesity has been on the rise in the US in recent years... in fact, it's now reaching epidemic levels. In order to better understand what's going on, Purina Dog Chow Light & Healthy conducted a nationwide survey asking dog owners questions about their perception of their pet's weight, as well as exercise and feeding habits. This study was conducted online in April among a general US population of 1,000 adults, ages 18-55+, who own a dog. The results identified a large gap between owners who understand and acknowledge their pet's weight problem, compared to the actual number of dogs that are overweight (as reported by the Association for Pet Obesity Prevention). I'd like to share some of the results Purina discovered with you. While I'd like to say the numbers are surprising to me, they really are not. Let's talk about perception first. While 85% of dog owners surveyed believe they have an understanding of the nutritional guidelines that should be followed for themselves, only 76% believe they have an understanding of equal guidelines for their dog. If you don't know something, wouldn't you ask your veterinarian or do some research? Of those 22% who felt their dog is indeed overweight, 24% don't know how to manage this issue, while 78% have taken some course of action to manage their dog's weight. According to 36% of those surveyed, their first course of action in trying to get their dog to lose weight was to feed the dog smaller portions of the same dog food. Helping your dog reach his ideal weight is important to his overall happiness and quality of life. Not only are healthy weight dogs able to exercise with ease, but his day-to-day activities are much more manageable. Furthermore, maintaining a healthy weight can help extend his healthy years. 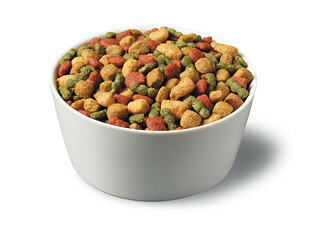 Count Calories: Just like people, dogs need to consume fewer calories than they burn in order to lose weight. While some owners may achieve this by simply reducing their dog’s portion size, this can leave the pet feeling less than satisfied. 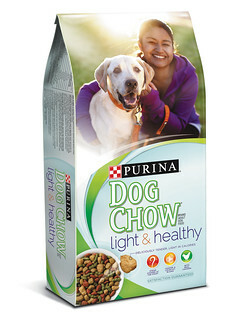 Instead, opt for a low calorie food like Purina Dog Chow Light & Healthy which contains 20 percent fewer calories than Purina Dog Chow Complete & Balanced, and includes a tender and crunchy kibble blend , is steam-cooked at the start, and is made with high quality protein sources including real chicken. Its Light in calories, big on taste. Perfect Portions: Portion control is also essential to both weight loss and healthy weight management. Always feed your dog as directed, and use an eight ounce measuring cup and on package feeding instructions to ensure you are providing him with the correct portion at each meal. Get Moving: Slowly start adding physical activity to your dog’s daily routine. Exercise will not only help him maintain a healthy weight and support overall good health, but it can also strengthen the bond you share with your pet. Remember, it’s a good idea to check with your veterinarian before beginning any new exercise regime. Make a Plan: Develop a feeding plan that takes into account reduced calories, controlled portions and additional exercise. While it can be tempting, avoid sneaking your dog table scraps which are not complete & balanced and can sabotage his weight loss. I think we could all use the above tips - human and canine! With warmer weather and increased hours of daylight, I vow to get out and get moving more with my dogs. Are you ready to give Purina Dog Chow Light & Healthy, which is specifically formulated to help dogs reach their ideal weight without sacrificing taste or skimping on portion size, a try? Check out this $2.00 off coupon offer! You can print yours out from the comfort of your own home. Does your dog need a little help slimming down? 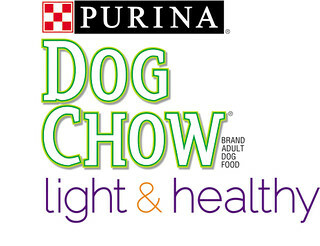 Thanks to the great folks at Purina Dog Chow Light & Healthy, I get to give one lucky ready 37 pounds of food! Prize: one (1) 4lb bag of Purina Dog Chow Light & Healthy, plus two (2) coupons each good for a free 16.5lb bag ... that's 37lbs total! To Enter: I'm making this one simple. Just leave a comment below (be sure to include your email or some means of contacting you) telling me why you need to win this prize pack for your dog! Deadline to Enter: Thursday, June 12, 2014 at midnight. One winner will be drawn by random number generator. Disclosure: I will receive some free product, as well as a thank you gift from Purina for posting this article and giveaway. I was not compensated for this review and all opinions expressed are my own. We really have to monitor our senior Golden's weight. Goldens can get heavy - especially with their billy goat eating habits. It would be great to have a "regular" food for mealtime that we can count on when it comes to counting calories. Briley would LOVE to win some Light & Fit!!! Because of the big soft pieces, she thinks its a treat. And its time to refill the food bag. We always have a discussion about weight when we visit the vet, so we aren't deluding ourselves, the vet says they are within their guidelines. I think it helps that she started us off with a measuring cup. They get half their allotment in the morning and half in the evening. My Mika struggles with weight issues throughout the winter, but we put her on a special diet at those time. (Acana light and fit) and that seems to help. Thanks for linking up! The dogs have their own set of measuring cups and spoons. Every meal that Mom serves is measured. Dad,not so much. Poor Sebastian is having a very hard time losing weight and is having a checkup soon to see if there are underlying factors. I'll print out the coupons just in case. Ma has just started me on the Science Diet Metabolic stuffs, so we are stickin' with that for a while, butts I sure hopes that anyone with a doggie who could lose a couple will try this out. It only gets harder the longer we stay chubby!! That sounds like a great tasting food. Bentley is currently on a prescription diet so we won't enter but good luck to your other readers!! We just stopped by from the Pet Parade to meet you. I need to win this wonderful and very generous prize pack because my 14 year old peekipoo, Sushi, is overweight. I have tried everything but she can't seem to keep the weight off. This could really help her. Thank You. My dog is overweight and right now I am reducing the amount that I feed him and making sure he gets more exercise, but I would love to give this food a try. Thank you. I need to win this for my best friend because she is such a good person! She has a lot of dogs and would love to try this out for her. I would love to win this for the rescue I foster with! I don't have a dog but I love one of my best friend's dogs. Her name is pearl and I think she is awesome. I missed out on this. And we can really use it. Our dog Cinnamon needs to lose weight.